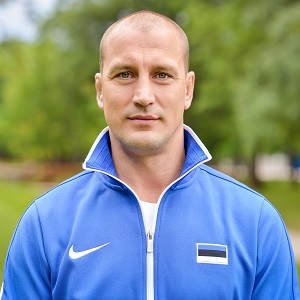 Aleksei Budõlin is an Estonian judoka. At the 2000 Summer Olympics he won the bronze medal in the men’s Half Middleweight (73–81 kg) category, together with Nuno Delgado of Portugal. Head Coach of the National Judo Team, as well as coach work in a club. In a relationship for 22 years- daughter, 14 y. and son 1.5 y. Summary: Aleksei’s answer to the five questions! Listen to the full conversation on the player above; also available on iTunes, Stitcher and SoundCloud. My coach. We started to work together when I was eight years old. He gave me this really big hope for my big aim. I remember very clear this time when in the Olympic games in Sydney, in 2000, I took a bronze. It was a great success, but in the next Olympic game, I won the first round, but then I lost. It was a very, very difficult time for me in sports because I was ready to compete, but in my head, in my mind, something was broken. At this time, I met my mentor and he gave me a new hope for the next steps in my life. We talked a lot about the Olympic games in Athens. From one side, it was a very difficult time in my life, but from another side it was a really great time because I’ve found a new goal, a new aim and the hope that he gave me was really great. Still, I remember him and still we are friends. As I told you in the beginning, learn from yesterday and live for today. I learned from yesterday. I’ve learned a lot about hope and now I know what I’m talking about. With my students, with the parents, with my kids, we talk about the future and we talk about hope. It’s really important to analyze your daily life and to ask what you want. Every day we try to find answers to their new questions and I am this man who is really open to share with everybody my experience and ideas. I move from school to school and talk with different-age students. (1) If you try to do the best in your life, then you can inspire somebody to do the same. (2) Just be yourself and do your best every day.